Sophie’s Mom at the SuperSale Bazaar! Calling all shopaholics! This is the perfect bazaar for you! 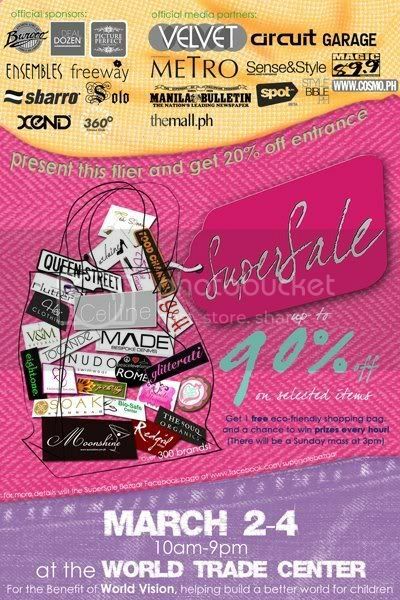 I seriously can’t wait for the SuperSale Bazaar! So many great brands will be here! You CANNOT miss this event! Make your shopping sweeter too by dropping by Sophie’s Mom! Are you egg-cited to see our theme this time? I bet you can guess what it is, just gave it away! Haha!